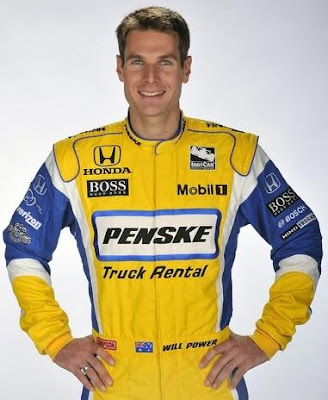 Yellow Penske car, ftw!!! You sure Will Power's driving it, and they haven't yanked Al Unser out of retirement to drive it? Truly fantastic-looking vehicle. Looks like a Panther car of old! Looks like TK is going to have a different scheme for Toronto and Marco, too. As will Ed Carpenter, we should be getting photos of it tomorrow. Agreed Donnelly! One of my favorite cars is the the 87 March that Al Unser drove to win his 4th Indy 500. 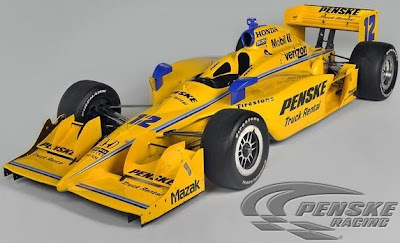 Certainly this design was inspired by the old Mears Pennzoil and Al's Cummins diesel yellow classics. Looks great! Hope Jenkins doesn't forget it's Power in it and not Mears. Al Sr's Cummins car also featured HERTZ & was only "classic because it became an Indy 599 winner. The Mears PENNZOIL cars were classics & Al's car just had the RED pin-striping pulled off for BLUE!! !